The recent federal election has once again reignited debate about the need to reform our voting system and a “National Day of Action for Electoral Reform” has been called for May 14. 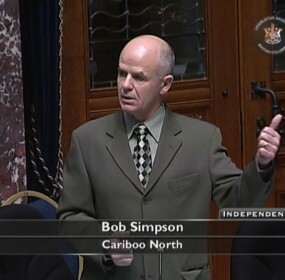 Bob Simpson MLA: Is a Personal Attack Okay if it’s Funny? Bob Simpson: How Did We End Up With an Unelected Premier? Bob Simpson: Are We Serving Our Seniors Well?